Photo was taken by my grand-daughter. This entry was posted in A Word A Week Photo Challenge, Photography and tagged A Word A Week Photo Challenge, Cats, Pets, Photo Challenge, Photography by Mud. Bookmark the permalink. Nothing like a pile of passed-out kitties! Very cute! 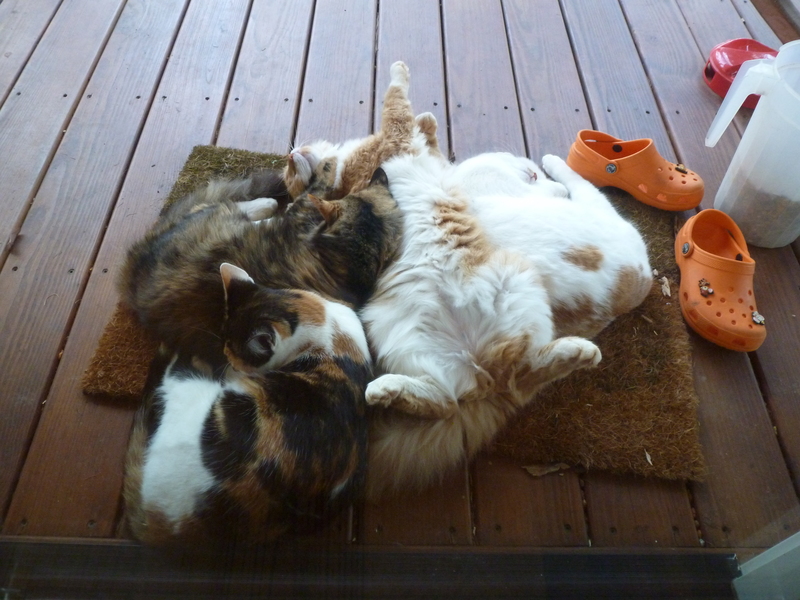 “Passed-out kitties”, now that is cute. Thank you for sharing. Sleep is not a challenge for cats, that’s for sure. They could give lessons on how to unwind and relax! If we humans could learn to relax like cats there would be less hyper-tension and less need for some medications.